In 2012, Professional Wrestling is seen as somewhat of a joke in the sporting industry, but it wasn't always that way. Professional Wrestling was once the must-see programme on a Saturday morning, with professional wrestling companies being on every street corner around the world. In previous years the industry has faltered, and in this article I underline the top three that's holding the industry (specifically WWE) back. Professional Wrestling at a Standstill? On Monday, March 26th 2001, a simulcast was broadcast the world around with thunderous repercussions: Vince McMahon's World Wrestling Federation (WWF) had bought out Ted Turner's World Championship Wrestling (WCW) for a mere $3,000,000. This marked the end of what has since been dubbed "The Monday Night Wars", which had begun in 1995 with WCW airing its new flagship-show, Monday Nitro, in a head-to-head timeslot against it's WWF counterpart, Monday Night Raw. So astonishing was this news, many of the active talent on the WCW roster had no idea that things had gotten so bad, so fast. Over the next number of months an invasion angle began in which WCW and Extreme Championship Wrestling (ECW - the third largest Pro Wrestling brand in the world, know for its ground-breaking extreme style of wrestling - which had been bought earlier that year by the WWF) wrestlers began to invade the WWF airwaves, seeking control of the WWF. This sparked a several month "invasion" which, despite its many memorable moments, ultimately rang the death knell for WCW and ECW, with the WWF emerging firmly dominant, and showcasing the monopoly of Professional Wrestling as now being squarely in the hands of Vince McMahon. Fast forward 10 years, skipping through the brand extension (a second WWF show to be the competition the WWF had destroyed in WCW and ECW), a change of name to World Wrestling Entertainment (WWE) and a legion of storylines, the business saw a sharp downturn both in terms of popularity and arguably excitement. As it were, the very final episode of Monday Nitro drew a 3.0 TV rating in terms of viewership, at the time considered horrific. Nowadays, Raw is lucky to maintain a 3.0 rating continually, whilst Smackdown could never dream of a rating so high. The intention of this article is to outline some of the key flaws in today's industry, along with a few small pointers that could go a long way in making Wrestling matter again. Which of the two "giants" did you prefer to watch? The first aspect in need of reform is the Main Event scene. This is a point that has been battered to death so often, it may not even be worth suggesting a change anymore. The scene here is not an uncommon one, in fact, so common is it that in the past several months the WWE have actively begun recognising on screen, through storylines, that Mr. Cena always wins. He always overcomes adversity. He always emerges with his hand raised at the end of the night. The problem here is, the WWE are lacking in star-power, and have found themselves unable to move younger talent into the main event permanently. One only needs to take a look at the case of Alberto Del Rio to see that it doesn't matter how hard you push them, if you don't make them credible, it simply will not stick. In the past number of months the WWE seem to have found a number of stars who are more than capable of filling this role, in the form of Sheamus, Dolph Ziggler, Cody Rhodes and Wade Barrett. Sheamus has held the WWE title twice before and he now seems to be on the way to capturing his first World Heavyweight Title at this forthcoming Wrestlemania, on April 1st, refreshed with his new good-guy persona. As for the other men, the WWE need to recognise their potential and fast - Dolph Ziggler has battled for a world title at the past two Royal Rumbles, for crying out loud! Solution: Give the aforementioned talent lengthy feuds. Give them the time on the microphone that all wrestling shows seem unable of starting without. Give them meaning behind their character and persona. Most importantly however, give them wins. Legitimate wins, with no dirty tactics, no outside interference, and make these wins against legitimate stars - where they count. 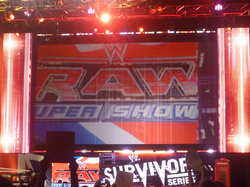 On the first episode of Raw of 2012 - Dolph Ziggler proves he's more than capable of holding his own. Storylines. Stop making it up as you go along! April 4th, 2011. John Cena and Dwayne "The Rock" Johnson agree to something never before tried in WWE history. They agree to wrestle each other at Wrestlemania - almost a full year away, on April 1st, 2012. Never before had a match been announced a year in advance - many heads were turned in anticipation of how the build would be handled, with a full year to promote and hype the match. Fast forward to Friday, 22nd July 2011. Daniel Bryan announces he will cash in his Money in the Bank contract at Wrestlemania, planting the seeds of another match almost 9 months early. Things seemed to be headed in the right direction. However, coming up to Wrestlemania, Daniel Bryan has cashed in his contract on Mark Henry, has become the world heavyweight champion and at the moment will face Sheamus for his title at Wrestlemania, with Mark Henry being demoted to the 12 man tag-team match. There's no long term planning any more - this was meant to be the biggest Wrestlemania of all time (and still may be! ), but the WWE seem incapable of making a decision and sticking to it, turning Daniel Bryan from the heroic lionheart into the cowardly sucker. 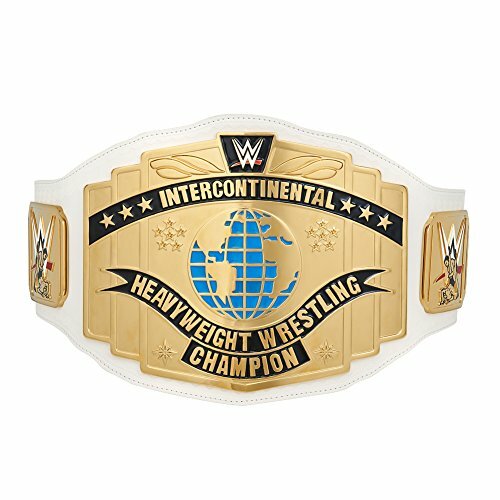 Buy your replica belt today! 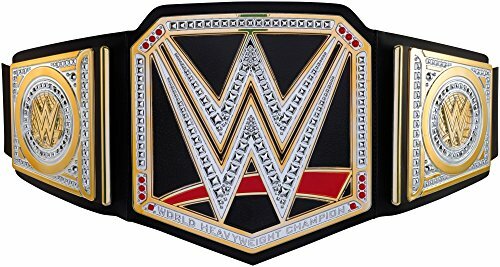 Feel like a champion, get your hands on a replica belt! Utilise women where they will work best. Things came to a head in 2011 when Gail Kim, fed up at her mistreatment eliminated herself from a match, and subsequently found herself sitting at home, being unused until her contract expired. Things seemed to be on the up and up earlier in the year with the introduction of Kharma, formerly Awesome Kong. However, due to her pregnancy, she disappeared from the airwaves and is not expected to return to action anytime soon. Now, for the second year in a row, the divas are going to feature only lightly at Wrestlemania (last year they had exactly 4 minutes, and that was with two semi-main event men in the match) with another Z-list celebrity in the match, taking a spot away from the women they already have. My proposal is to scrap the division entirely. It's too far gone to garner genuine interest now. However, when you have some of the most beautiful women in the world - put them back into managerial roles! Vickie Guerrero has already proved this works wonders! If you're interested in reading any more of my suggestions, I am writing lengthier articles, focusing in on one key issue in each. You can browse these at your leisure by clicking links below. I can definitely understand where you're coming from if that's the case. I guess it's one of the few things about psychology that really sticks in my mind. You're repelled from that which causes you pain, am I right in thinking that to some extent? I guess it works both ways too though - it's escapism from reality for me, and it also shows the little guys, the underdogs overcoming the adversity and "rising above hate" (to steal John Cena's tag-line). Though obviously you're entitled to your own stance on the sport it self. I'm just here to portray my opinions on the subject, and love hearing viewpoints of others - whether or not you like the sport is a minor detail! LOL, well, to be fair I don't not (yea I used a double negative correctly hehe) like wrestling, I just never really watched it I guess- the theatrics to me seemed a bit much (back in the WWF before WWF was the world wildlife foundation haha). Perhaps my lack of traction on the concept was due to being bullied in school- I was a little guy and although I wasn't afraid of anybody (even after the beat downs and power drives, and elbows to the middle of my back), I really didn't like getting side swiped by some kid who overzealous watched wrestling only to practice his (bigger guy usually) moves on my pain threshold! So it seems the answer to your question is that I was conditioned to not like it, but now I'm just indifferent (since all those variables are long gone). Great article, I agree with Chefkeem, more please (and I don't even like wrestling :). I like your writing style and your format (page layout) is great! Kudos! Thanks a lot! I can but recommend watching it again. I don't know if it's the same for anything, but I found it hard to stay continually interested when I was younger. The thing that really rekindled my passion for it was knowing all the ins and outs of everything, all the backstage antics, the stuff that doesn't translate onto the screen. I've found it's given me a much broader knowledge and understanding of everything, and a desire to translate it into my own personal views on the various issues. Very interesting article on wrestling, and great first article! I used to watch wrestling on TV, but haven't watched it for years now. Wrestling is such a strong tradition in England in general, which is why it's a shame we don't have ANY British wrestling promotions on the airwaves, because they have some fantastic talent too, and fewer and fewer Brits seem to be making it in America. TNA Wrestling - Better than WWE? After the demise of WCW, a new company was born. This company was Total Nonstop Action Wrestling. On their 10th anniversary, have they finally achieved ultimate success?